The number of international companies making business mistakes in entering Spain is great. Examples of business mistakes in entering Spain include, American beer manufacturer Molson Coors, whose marketing slogan in Spain “turn it loose,” translates into “Suffer from diarrhea,” or Braniff International Airlines which suffered the same fate in translating its slogan “Fly in Leather” into the Spanish “Fly Naked.” United Parcel Service (UPS) market entry into Spain was marred with delivery trucks that resembled Spanish hearses. Would you want your mail delivered in a hearse? Why do business mistakes in entering Spain occur? Why do sophisticated multi-national corporations continue to engage in business mistakes when entering Spain’s market? The answer is simple; these blunders are caused by carelessness, poor judgment, incomplete analysis, ignorance and/or confusion. Companies never truly understand or internalize the host countries culture and focus on demographics analysis, and purchasing power. They need to focus more on the soft-data such as social organization, religion, customs, rituals, values, attitudes towards domestic and international life, political system, levels of education, and aesthetic systems within the country. This coupled with hiring consulting firms who lack an understanding of culture and the business nuances of the country, lead to major business mistakes in entering Spain or any other region of the world. Spain is a country of 47 million people, with 23 major metropolitan areas. One in every five Spaniard lives in either Madrid or Barcelona. What most corporations do not understand is that Spain is truly a nation of nations. When it comes to culture, dialects, and a sense of nationalism, each region is unique and companies must understand how to enter the market based on the regional ethnography. This is true for many countries of the world, in that their sense of nationality comes from more of a regional level rather than the national level. If you are a Spaniard born and raised in Barcelona, your sense of nationalism is to the Catalan identity not to the Spanish. Catalan is a language spoken by the people of Cataluña, one of the major provinces within Northwest Spain, and is different than that of Spanish. The Catalan identity has forged its way to Ibiza, an island 175 miles away. The same holds true for the Basque region, as well as Andalusia in southern Spain. Prior to market entry, companies must address the various market entry issues to mitigate the common business mistakes in entering Spain. 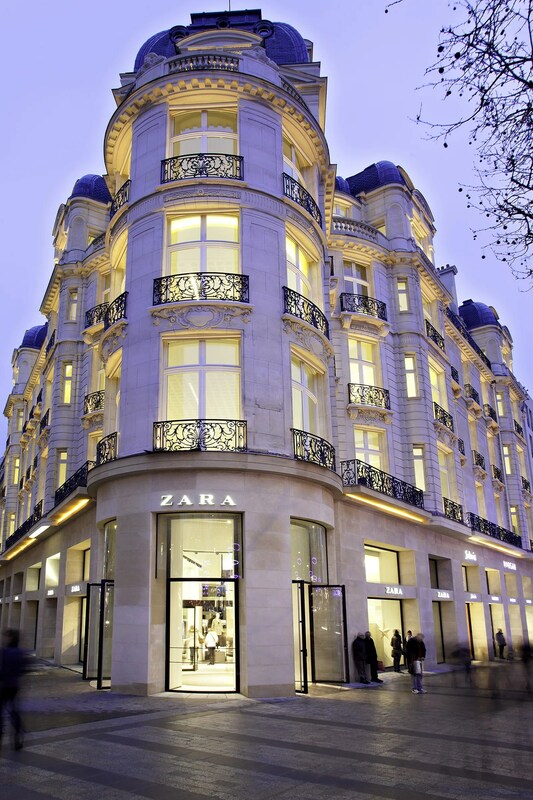 Zara store in the Champs-Élysées in Paris, France. Picture Courtesy of Inditex. All rights reserved to Inditex. Zara’s initial market entry into the United States was marred with sizing mistakes. While their stores in Manhattan were quite busy, it was also quite ominous. Ultimately, the issue was size, and women remarking, changing and changing again. The locale was remarkable and it was unmistakable Zara. The usual high volume of sales, characteristic of their locations in Spain, and across Europe, was diminished here. The issue was neither style, quality, nor price; it was a matter of size. They call it vanity sizing. The pattern of U.S. clothing goods to cut items a full size larger than labeled. It is an indulgence to American buyers that they have not gained size when in fact they have. Now Zara, a world leader in fashion, and the possessor of a remarkable global success model, is stumbling on an age-old issue: size matters as much to the ego as to the fit. The U.S. customer purchases an illusion of the self as much as style. Although the recent European Crisis has truly weakened the Spanish economy and hampered growth, Spain is different than the other PIG’s (Portugal, Ireland and Greece). Even with the economic crisis, Spain is still the thirteenth largest economy in the world, and the fourth largest within the Eurozone. Current market conditions can create major competitive advantages for new companies. This is exemplified by the highly educated youth unemployment rate, and the ability to hire skilled workers at a competitive rate. Furthermore, commercial real estate, and investment taxes have created an environment to promote Foreign Direct Investment (FDI). The Spanish Government just passed the Ley de Emprendedores, (Entrepreneur’s Law), which decreases the risks and tax burdens in investing in Spain. Among the key rules are single taxation on sales, a decrease of bureaucracy, special government incentives for Joint Ventures with Spanish companies, and development of a special credit rating system for small and medium businesses. These rules make Spain much more competitive versus other regions within Europe, and make downside less of a risk. Although the headline news on Spain continues to be negative, a good entrepreneur knows that now is the time to enter the Spanish market. 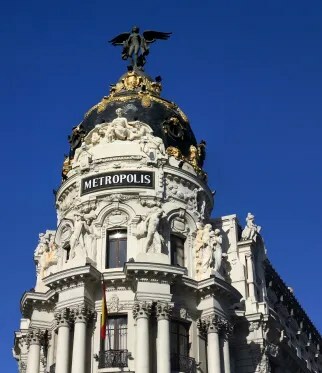 The ample availability of skilled human capital, the decrease in retail and commercial real estate pricing, the availability of relatively cheap credit, and the new Entrepreneur Law’s make market entry into Spain less risky than five years ago. Furthermore, developing a cohesive international market entry strategy that correlates with the parent strategy, developing a core country strategy are imperative for correlating the corporate values and defining the reasons for market entry. Companies should undertake feasibility studies and explore market entry as a region not as a country.